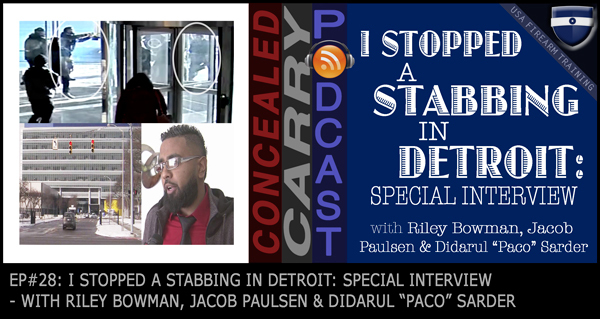 TOPIC: Today we are so excited to feature the story of a man who successfully stopped a brutal attack on a woman when he decided to step in, draw his gun, and put an end to it…and not in the way you might think! Not only do we have the story, but we have the full interview that we were privileged to have with him. Great podcast. In this episode you mentioned that the Orlando terror attack was the worst “mass shooting” in us history. I would argue that the 1890 Wounded Knee Massacre, in which the United States Government mowed down 150-250 Lakota non-combatants, was the worst mass shooting in us history. It happened while the soldiers were attempting to disarm the Lakota, so that they would be easier to force on to reservations. I’m not implying that the Orlando terror attack isn’t horrible, I just want to point out that Native American history is full of examples where government can and will attack unarmed civilians. Thus, they serve as reminders why the right to keep and bear arms is so important. Orlando is the worst mass shooting in US History. This is according the FBI definition, which for obvious reasons wouldn’t take into account many atrocities committed by the US Government in its history. Plus comparing the Wounded Knee Massacre to Orlando is kind of like comparing apples and oranges. Orlando was committed by a “lone wolf” citizen (classic active shooter profile) against other citizens, whereas the Wounded Knee Massacre involved US soldiers in an event that is much more complex in understanding it than what happened in Orlando. But I agree with you that it was a horrible tragedy, just not exactly the same thing. Thanks again for listening, commenting, and discussing!! Good point they were innocent people……What about them? Did anybody remember them? Were flags ordered half staff for them? No. They were not….Murder is Murder no matter how you compare it….No matter who did the deed….And that was over a sick cow…..How about the trail of tears?…..Thanks Kit Carson…..They were not as important as special people with special interest…..Lets remember those who perished trying to save there way of life…. Remember they were here before us…. This is probably going to get worse before it gets better. We have so-called leaders that are doing a job on our country and because most voters don’t want to be bothered with the politics of the day they do not know what they are voting for. They vote their party not realizing that the party left them out in the corn field. Obama is not an American in his heart and this is not good. When Jimmy Carter tried to do what Obama is doing he couldn’t do it because he loved America.